What are the Risks Associated with Volcanic Eruptions? 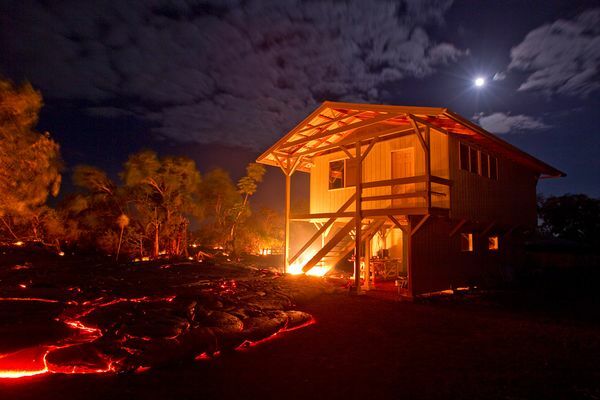 LAVA FLOWS PRESENT A GREATER DANGER TO PROPERTY THAN TO HUMAN LIFE BECAUSE THE DIRECTION OF FLOW CAN BE PREDICTED ALLOWING TIME TO EVACUATE. There are a few actions we can take to try to divert or stop a lava flow before it does major damage. These include trying to cool the approaching lava flow with water, and detonating explosives at the source of the flow to try to cut it off. Although these should work in theory, in practice they have been largely unsuccessful. POTENTIALLY LETHAL GASSES ARE RELEASED FROM VOLCANOES BEFORE, DURING, AND AFTER ERUPTIONS. Sulfur compounds, chlorine and fluorine react with water to form poisonous acids damaging to the eyes, skin and respiratory systems of animals even in small concentrations. Most volcanic gases are noxious and smell bad, but they can cause mass fatalities. The time available for early warning of gas release is extremely short, making the risk of poisonous gasses extremely dangerous. As mentioned in the previous lesson, volcanic eruptions produce rock fragments, the smallest of which is ash. 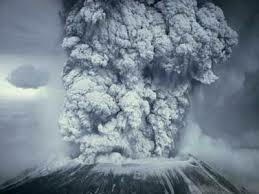 Volcanic eruptions spew hundreds of thousands of tons of ash into the atmosphere. This ash has several effects on human health and property. IF INHALED ASH CAN IRRITATE YOUR THROAT, LUNGS, AND EYES. Damage to property can be more severe. Ash thrown up into the atmosphere eventually falls back to Earth. 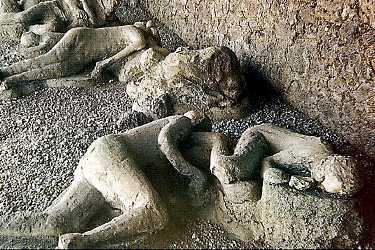 AT SITES NEAR THE VOLCANO, THE ASHFALL CAN BE HEAVY ENOUGH TO COLLAPSE ROOFS. IT CAN ALSO PEEL PAINT FROM CARS AND HOMES. THE GREATEST THREAT POSED BY VOLCANIC ASH IS GLOBAL COOLING. ASH PARTICLES REFLECT INSOLATION BACK INTO SPACE PREVENTING IT FROM HEATING THE EARTH. SEVERAL MASSIVE ERUPTIONS OCCURING WITHIN A SHORT TIME COULD COOL THE EARTH ENOUGH TO TRIGGER AN ICE AGE. PYROCLASTIC FLOWS ARE HIGH-DENSITY MIXSTURES O FHOT, DRY ROCK FRAGMENTS, AND HOT GASES THAT MOVE AWAY FROM ERUPTION AT REALLY HIGH SPEEDS. They may result from the explosive eruption of molten or solid rock fragments, or both. They may also result from the nonexplosive eruption of lava when parts of dome or a thick lava flow collapses down a steep slope. 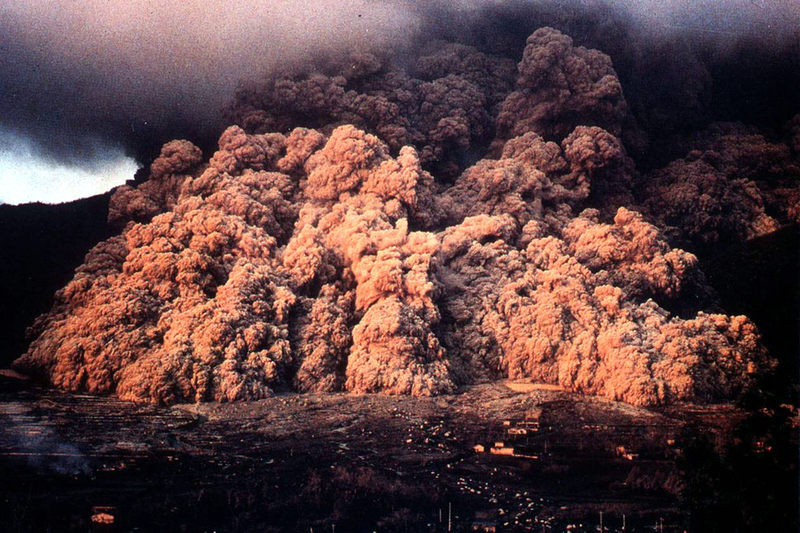 Most pyroclastic flows consist of two parts: a basal flow of coarse fragments that moves along the ground, and a turbulent cloud of ash that rises above the basal flow. 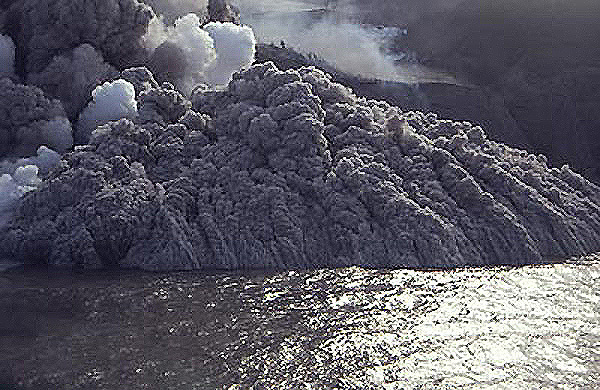 Pyroclastic flows generally follow valleys or other low-lying areas and, depending on the volume of rock debris carried by the flow, they can deposit layers of loose rock fragments to depths ranging from less than one meter to more than 200 m.
Predicting volcanic eruptions is not perfect, but progress continues to be made. Currently volcanologists can call on a variety of instruments and measurements to try to determine when a volcano is preparing to erupt. These measurements include monitoring gas emissions, seismic activity, heat flow, changes in elevation, and mass movements.